After posting about Moyou London's Scandi 08 plate last week, I thought it might be fun to do regular stamping plate review. 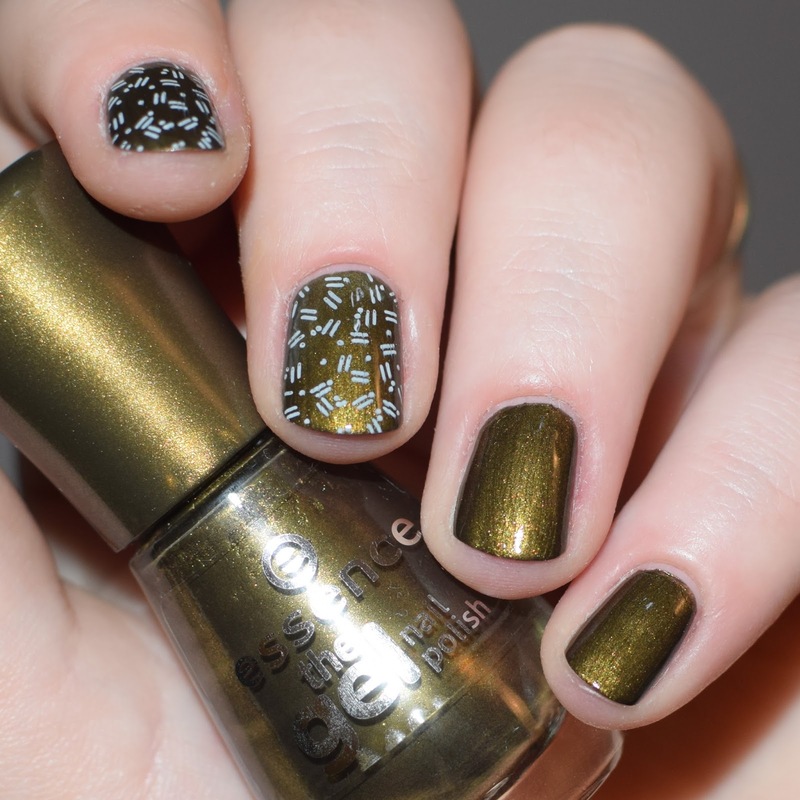 Because I am obsessed with stamping. I decided this week to do a swatch/review of Moyou's Holy Shapes 11 plate. This is a fun plate that I use quite a lot, but rarely venture outside a few of my designs on this plate. 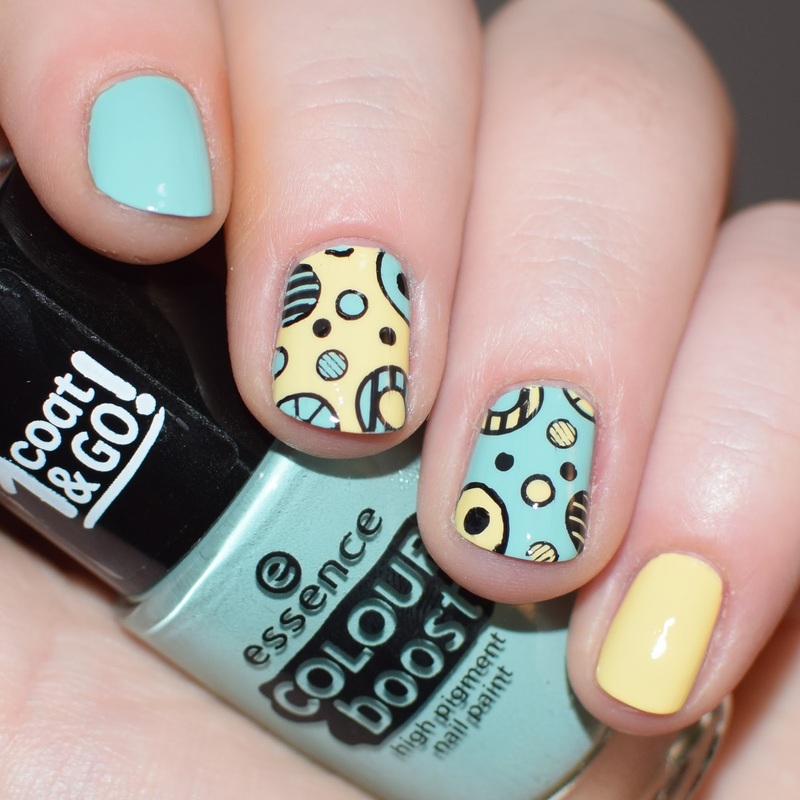 This plate has a very retro feel to it, and true to it's collection's name, it has 16 full nail designs themed around lots of different geometric shapes. The plate has a wide variety of designs, with some simpler bold shapes and some very intricate with tiny detail. 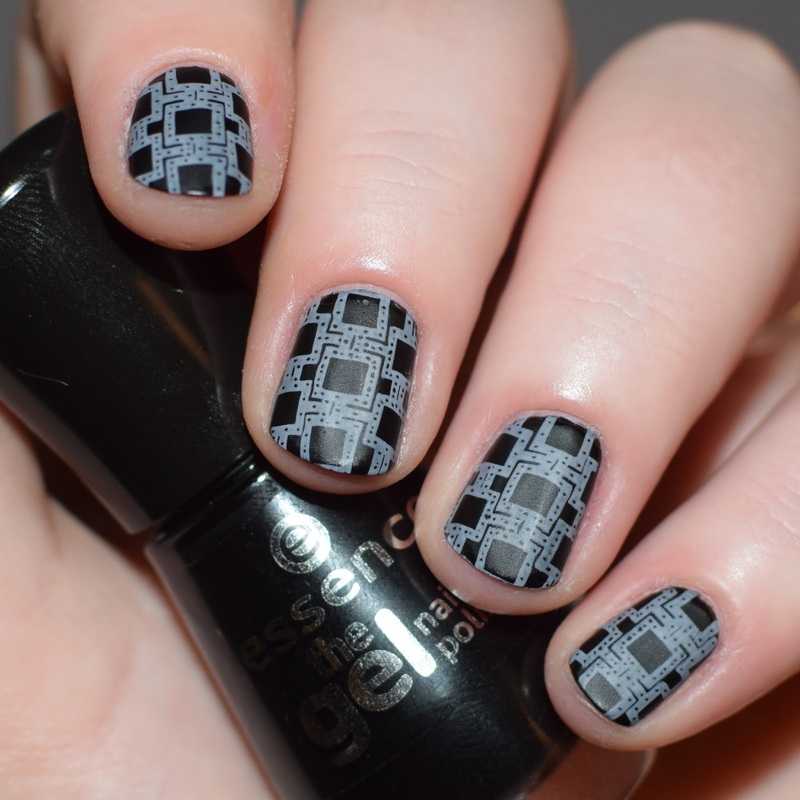 Perfect for both beginners and more advanced nail artists. A couple of the designs are good for reverse stamping, but the majority are design without big blank space to fill in with colours. Several of the designs have sections within them that work great as an isolated element (not stamping the entire design but sections of it). My favourite designs on this plate, that I use the most is the circles with lines through them (the first design below). You can buy this plate here, it's on sale for only £4.50!! This is the only plate I own from the Holy Shapes collection. Have you tried any of the other Holy Shapes plates? Which is your favourite? Let me know by commenting or tweeting me @nimynails.